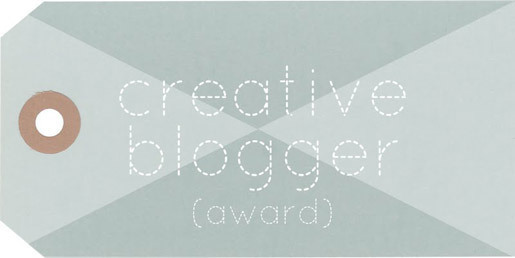 I was recently nominated for the Creative blogger award by my very talented fellow blogger simpleek. I’m honored to receive this award, many thanks to simpleek! It’s pretty neat to be recognized for your work and to have people out there who enjoy your blog/website enough to nominate you for a cool award. I’m obsessed with the CW television show Supernatural. Not just “oh I watch that show every week” obsessed (which I also do, as well as watch reruns constantly), I actually have a tattoo from the show on my chest. I also enjoy purchasing collectibles, posters, clothing and books related to the show. It’s more than just a show that I like, it actually means a lot to me and has gotten me through some tough times. I have nothing but respect and love for everyone involved with the show and I’m so glad that I found it! Gaming is very important to me, as I’m sure you’ve noticed, and I’d like to make a career out of my love for them. After 7+ years of deliberation on what I want to do with my life as far as a profession goes, I have finally decided to aspire to be a professional journalist. Hopefully, a professional video game journalist. My husband and I are on opposite sides of the comic book universe. I prefer DC comics, pretty much anything to do with Batman or Catwoman, and he is deep into Marvel comics. While neither of us are opposed to the opposite side, we rarely read anything not on our own side. It’s pretty cool actually because we can talk about them and give each other the scoop, so without having honestly read a Marvel comic I know an awful lot about the goings on in the Marvel universe thanks to him. I’m a pesco-vegetarian. Basically, I don’t eat meat or meat related products but I do eat seafood/fish. I made this decision for two reasons, one being that I really just don’t like the taste of meat. My dislike of meat developed over time and it might be mostly due to my second reason for this choice – I’m an animal rights activist. I morally cannot accept eating meat due to the nature in which animals are treated and slaughtered for mass production. I don’t judge or think less of anyone else who eats meat, my husband eats meat, but I just can’t do it mentally and physically. Seafood and fish are eaten but monitored. I do my best to eat sustainable products and am careful to not eat it too terribly often. I know the entire Frozen soundtrack by heart. Every song that is sung in the hit Disney movie has been memorized and can be recited by yours truly with ease. I love the movie and watch it often, so I decided to put the soundtrack on my spotify playlist and since then I have found myself singing the soundtrack in its entirety to myself at work. It’s great stuff, to me at least, and helps me pass the time. Plus, it’s just catchy and enjoyable! Now for the nominations, enjoy folks! You’ve earned it! I, uh, just nominated you for another one of these.